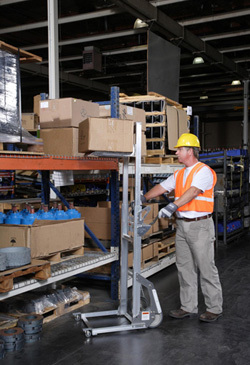 The Genie Load Lifter™ is both compact and portable and allows one person to safely lift, move and position loads up to 91kg. 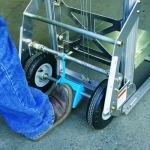 Folds for compact storage and loads easily into a vehicle for transport. 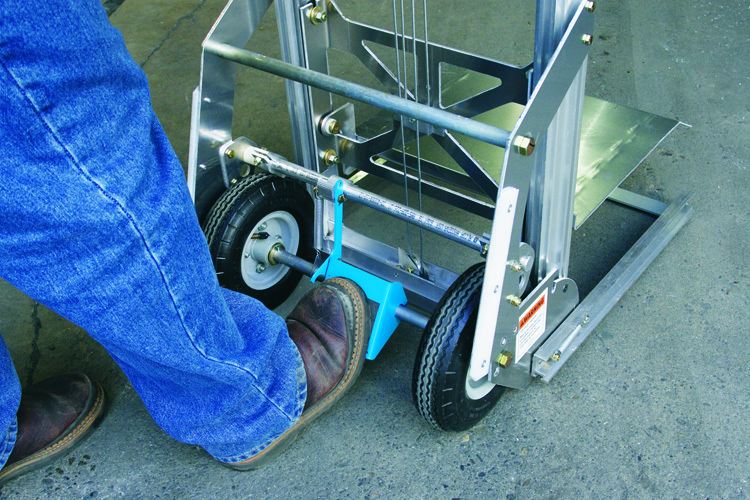 The ideal lifter to move everything from computer and electronic equipment to small appliances or manufactured parts. Bevelled aluminium platform allows easy loading and optional foot brakes are available for additional security. Built in stair glides above the rear tyres provide easy handling over stairs and curbs. 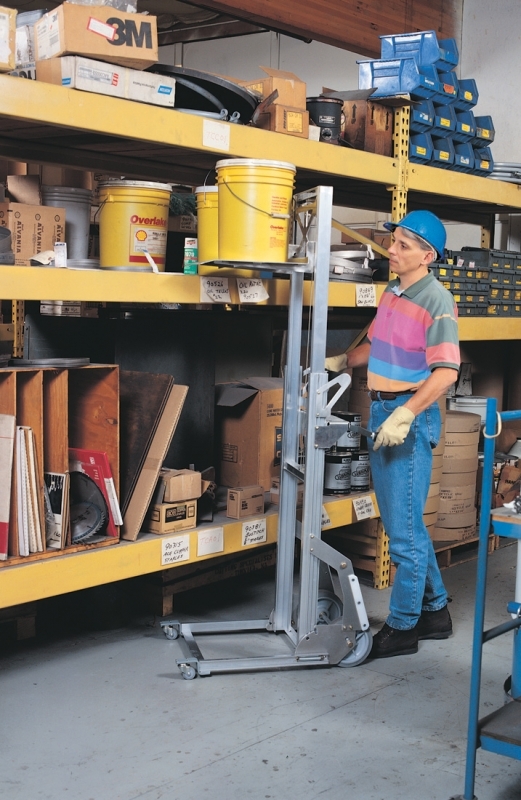 Optional front swivel non-marking castors for easy manoeuvrability.